A hybrid polymer grab adhesive, ideal for use where the surfaces remain visible. Has added UV stabilisers to ensure product does not yellow. Bonds virtually all materials both internally and externally, and can even be used under water. 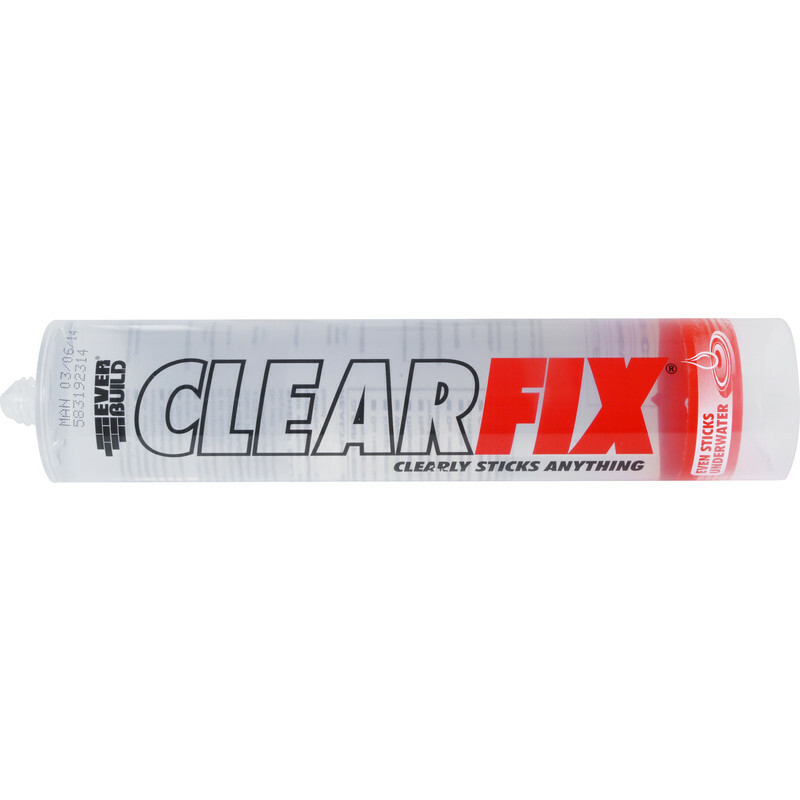 Clearfix Adhesive 310ml Clear is rated 3.5 out of 5 by 4. Rated 4 out of 5 by Goofy from Needs time Bought this to try and stop pyramid light above staircase leaking. Have stuck pvc strips over glazing bars as reputtying those never worked. Environment is very tough with temperature extremes, storms, wind, birds etc. Will be wonderful if it works but time will tell.